Whistler’s visual arts scene is well established (and well documented) but these mountains have also inspired generations of wordsmiths, readers and folks of the literary persuasion. Armchair Books in Village Square is ground zero for anyone who loves the written word and all the important local tomes are available there (the library is another obvious choice). On the fiction front, Whistler Writer’s Festival founder Stella Harvey is just one of the town’s numerous novelists and younger readers find local flavour in Janet Love Morrison’s Radar the Rescue Dog. Anyone interested in Whistler history will want to pick up Florence Peterson’s First Tracks: Whistler’s Early History and a good supplement to that is Stephen Volger’s Only in Whistler: Tales of a Mountain Town which covers the ski bum era and more. Contemporary local stories are best found in Whistler’s free periodicals. Mountain Life is a glossy collection of amazing stories, photos, culture and characters from the area (full disclosure: I am the editor of that one) and the weekly Pique Newsmagazine letters section is always incredibly entertaining and informative (the rest of the paper is good too). Whistler Traveller and Whistler: The Magazine also print good stuff directed more towards helping visitors navigate the area. One bonus of a town with so many local publications means the resident authors and journalists have lots of opportunity to hone their craft and sell their words. But for anyone, local or guest, wishing to build their writing skills Whistler has a few cool writing workshops set up for summer 2016. 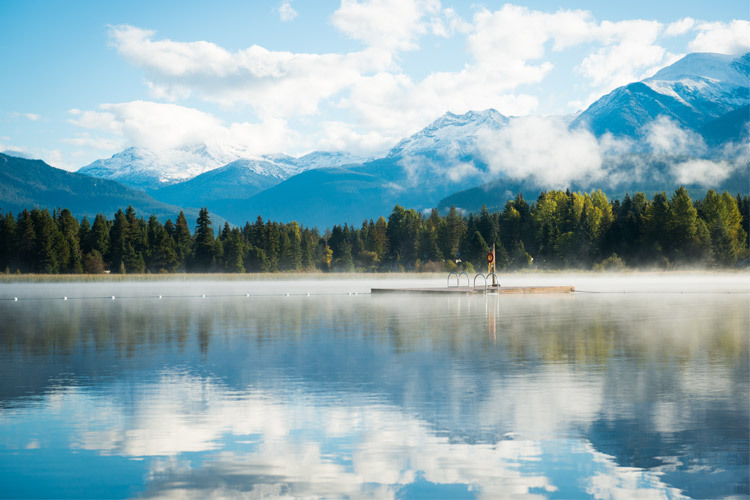 Back for its second summer, the Writers Adventure Camp is an intimate gathering at one of Whistler’s best-kept secret spots: The Point, a historic lakeside fishing lodge-turned-arts-centre. This year the Camp has expanded to four and half days for 2016 and features readings, a literary cabaret and workshops in fiction, non-fiction, screenwriting, songwriting, self-publishing and more. The Point Artist-Run Centre on Alta Lake. Idyllic. Workshop spots are filling up so go register for The Writers Adventure Camp now! Registration deadline is May 18. Writers Adventure Camp instructors Matt Turner (left) and Dennis Foon (middle) with SFU Whistler mentor Stella Harvey (right). Established down the road in Burnaby, Simon Fraser University (SFU) offers an online creative writing course with a blended learning component based out of Whistler and mentored by local novelist and Whistler Writers Festival creator Stella Harvey, who completed the SFU program in 2004. Stella will be at the Writers Studio information session June 2, 2016 at the Whistler Public Library. Get more info on the SFU website. 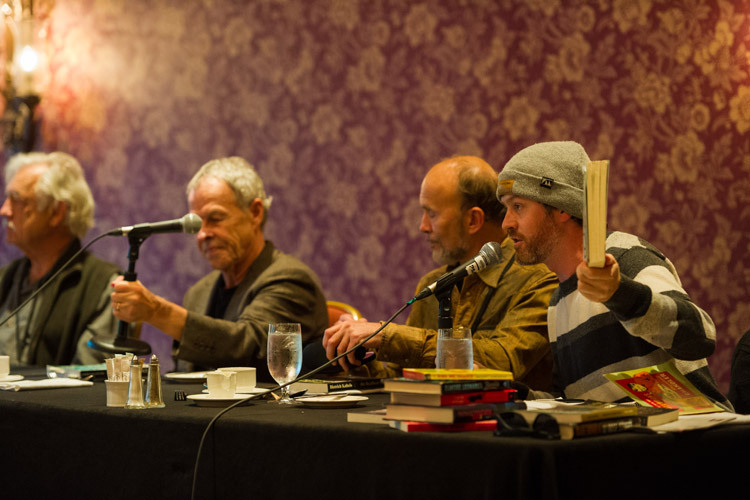 For those who are further along the path of their literary careers, the newly established Whistler Independent Book Awards might be of interest. Authors have the ability to submit their self-published fiction, non-fiction, crime fiction and poetry titles for evaluation, with the inaugural award to be presented at the Whistler Writers Festival (October 13 – 16, 2016) with prizes in each genre. This new award is a collaboration between the Whistler Writing Society and Vivalogue Publishing where all submissions will receive a valuable written evaluation of the work. Shortlisted titles will also be reviewed by members of the Canadian Authors Association of Vancouver. For more information on eligibility and requirements, visit the award page. Submissions deadline is June 3. Lake days and summer nights – is this the next great Canadian novel? The Whistler Writers Festival turns fifteen in October 2016 and the only way to celebrate properly is to get up here and join the fun. In the meantime, check in with our Insider’s guide to top spots to enjoy a book this summer, along with our tips for the best places to inspire your next masterpiece.